Stars produce electromagnetic energy. One portion of that spectrum that the sun sends to Earth's atmosphere is in the form of visible light. 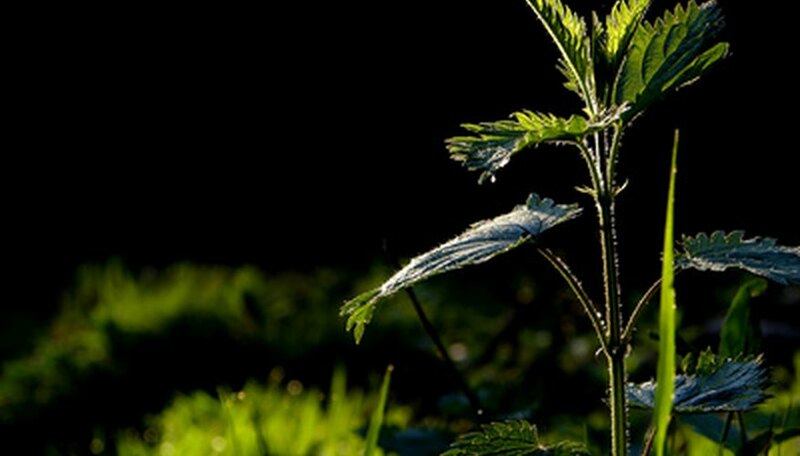 Plants need visible light for several vital life processes. Whereas the sun produces all wavelengths of visible light, fluorescent light only produces some of those wavelengths. Whether fluorescent lights can produce sufficient light quality for plants to grow depends on the light and the wavelengths emitted. Plants derive their energy not from the soil, but from light. In a chemical reaction known as photosynthesis, plants convert carbon dioxide and water into glucose and oxygen. The glucose is used to provide energy for growth, reproduction, transpiration and several other plant functions. The oxygen is released into the atmosphere as waste. Besides creating energy, light also plays a big role in triggering hormonal responses that induce blooming and fruiting. Without sufficient light, plants may not grow well or at all, will not ever produce flowers and will die. Plants are particular about the kind of visible light they use. Different areas in leaves house receptors for specific colors. Blue light at the short wavelength end of the spectrum most efficiently excites photoreceptors in chlorophyll molecules, which drive the photosynthetic reaction. On the other end of the spectrum, longer wavelengths in the red range are absorbed by proteins called phytochromes, which initiate flower formation and help regulate hormones that produce fruit. Green occupies the middle of the spectrum and is least absorbed by plants, which is why they appear largely green in color. 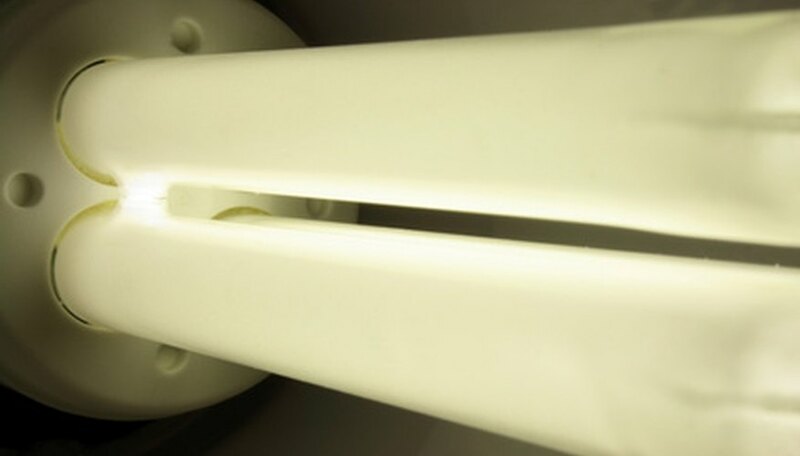 Most fluorescent bulbs produce light on the shorter side of visible light wavelengths; that is, closer to blue. This is especially true of cool-white bulbs, which are common in kitchens and bathrooms. Manufacturers also produce "grow lights," which provide both red and blue light, but they do not light living spaces well and they are significantly more expensive. Plants growing under fluorescent lights can thrive and exhibit good foliage, but blooms may be delayed or never appear at all. Too much fluorescent light will also harm plants -- artificial light should mimic the day and night cycles found in nature. Plants first need sufficient exposure to fluorescent light. For optimal growth, most plants should be placed directly beneath the bulbs, at a distance of about 6 inches. Some plants need more hours of light than others, but most will thrive on 12 hours. Grow lights emit enough red light to encourage bloom in flowering plants. 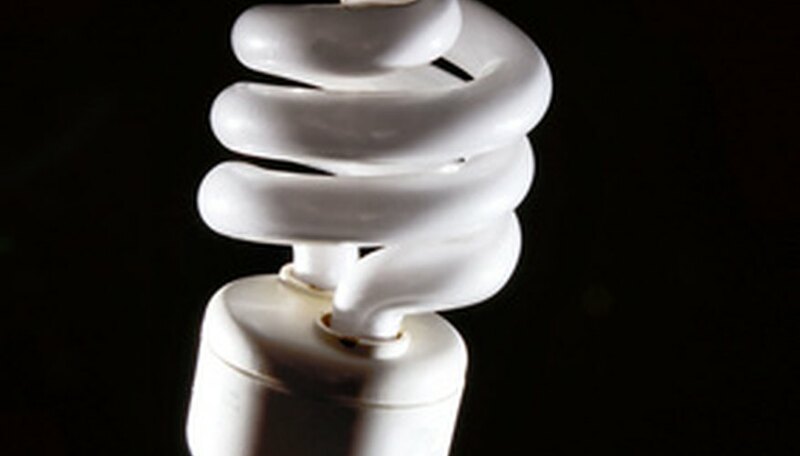 Alternatively, incandescent bulbs added to the light system can boost red light levels.